Ethan and I were unloading the dishwasher. He handed me my two morning coffee cups that sit on a shelf too high for him to reach. The end of summer and the beginning of school did all but knock us unconscious. 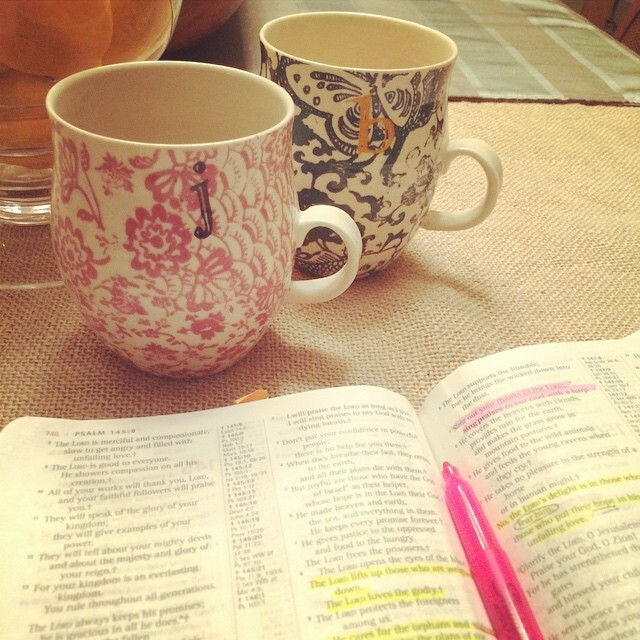 I have needed every ounce of my quiet time to refuel, refresh and recharge in His presence. Let me encourage you today, that Jesus is this real. He is this close. Like, pour-him-a-cup-of-coffee close. He is right there with you. Wherever you are at this moment. From wherever you are reading this blog — He is at your right hand. Pull Him up a chair and pour Him a cup of joe. Let us be intentional to begin our day with the best Coffeemate there is — Jesus. Becky, you made me cry this morning with your post. I’m just so overwhelmed and need Jesus every second, minute, and hour of the day! He walks with me and talks with me and tells me I am his own….love you!!! « The Preteen Years: Mary, what did you do?